Small business owners are busy, and holy crap … there are a ton of social networks out there, just calling for regular content. You have something interesting to share — a great photo of a happy customer using your product, or maybe an intelligent comment on some industry (or local) news, or maybe an update that your most popular product is finally back in stock. Is it okay to post the same exact update/content across several social networks? That’s a pretty good question — I like it because it implies that the business owner is concerned about looking like a spammer. Yes, it’s okay to post the same content across several social networks. But, I say that with a couple caveats. Take advantage of the differences in each social network. You’re limited to 140 characters on Twitter, but Facebook and Google+ both allow a lot more content than that. So use the extra space to customize the message for the different audiences on each site. Space out your similar posts. I’m not a big believer in trying to find the perfect time to post, but I do think it’s smart to space out any duplicate posts. If you post something on Twitter, and then share the same message on Facebook an hour later. Don’t take the rapid-fire approach and hit every site at the same time. You don’t want to look like you’re spamming the same message across 3-4 different social sites. So customize the messages as much as possible and space them out over time. I think if you take those two ideas into account, there’s nothing at all wrong with sharing the same message across several social networks. And, by the way, it should go without saying that you shouldn’t bother posting across several sites unless you know you have an audience on each one. There’s no point in using a social network if your customers aren’t there, too. Your turn: Am I wrong? Am I right, but you disagree with my suggestions? Or have other suggestions? The comments are open. Share your smarts and make this article better. I like the points you make about using each platform individually. Did you make a video? – use YouTube. Take a number of photos? – slap them on Pinterest, and so on. I have observed brands bundling social platforms, releasing information at once on all fronts. If it’s a launch, promotion, or special occurrence, I say go ahead. Otherwise, choose wisely and differentiate. I also like the point you raise about not sharing if a brand has limited followers on a platform. In some cases, the low follower count may be due to sharing abuse. From a personal perspective, I have not used G+ so much because I share intensively on Twitter. However, your insight regarding using platforms in a particular fashion gives me an idea to use G+ more for blog-post-like commenting to differentiate while still leveraging another platform. Thanks, Matt. Great post, I agree that posting on all platforms within the same time could look a bit spamm-y. What I tend to do though, is (when promoting a video or photo) is upload it to Facebook and G+ and then use a bitly link on sites like Twitter or my blogs. This not only helps backlinking (with the short amount of time it has left) but also sends more traffic to your preferred site. Since I try to post something daily on my business’ facebook, twitter and google+ pages, it’s difficult to tweak the message for each. I tend to believe it’s more beneficial to post consistently than to attempt unique messages. Interesting post. I agree with what you are saying… to a point I suppose. I find that I see no real difference in posting our same article on Twitter, G+ and Facebook at the same time, and I do not consider it spamming. Reason being, I think we have different followers on each network. However, when it comes to other types of content… photos, videos etc, I will post certain items to specific networks only. From a time perspective, I prefer to knock them out at the same time… but I totally agree that you should customize the post for each network as much as possible. Anyway, that is my 2 cents. Thanks for the post! Darin – have you guys ever studied/analyzed follower bases to see if you really do have different audiences on different social networks? I’ve never seen any research that suggests Joe Q. Public follows some brands on Twitter, different brands on Facebook, etc. But it’s definitely possible. Just wondering if you guys have any data on that. Hi Matt, What I think is that don’t take it as a formality after publishing an article because it is the real marketing startup points when any blogger finishes his/her blog posts. And hence your each and every social networking customer should have the content as they likes to read, comment and share for example your youtube channel update should be including an innovative video, your instagram and pinterest update should have attractive as well informative image included and no doubt facebook & Google+ fans likes to get a descriptive piece of information if you really want’s to invite them for giving response over your updates. I agree with you. 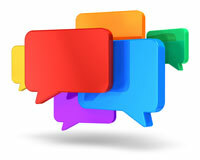 We should customize the message to suit different social networking sites, especially the tone that we use in message. Different social networking sites have different personality. For example, you may use casual tone for Facebook but serious tone for Linkedin. This was really helpful. I’ve been creating unique posts for each of our social media accounts and found that it takes too long to do. Now, I guess it would be best to try creating similar posts for the more similar sites. Facebook and Google+ posts can be made together, while Twitter and LinkedIn, given their limited word count, can be together. Would this be the right way to do it?